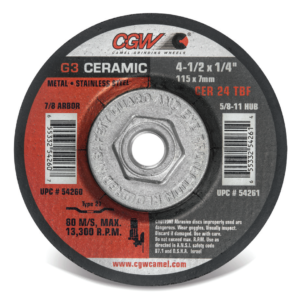 CGW Abrasives is now offering a new G3 Ceramic Grinding Wheel in a variety of sizes. These wheels have a high-performance ceramic grain that provides for a longer service life as well as extremely fast stock removal. The high-density, uniform grain structure is self-sharpening and also produces a cooler cut. The wheels are designed for use on steel, stainless steel and other high-tensile metals, and are an excellent choice for heavy metal removal. Abicor Binzel has announced the launch of their first welding tractor product. ABI-CAR Tractors will initially come in three models (including one with an oscillator feature), boast a durably constructed carriage design and include an easy-to-use interface. 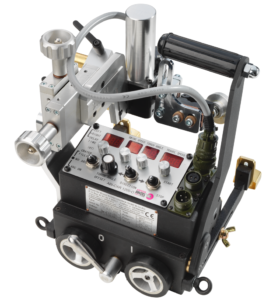 A strong magnet base lets the ABI-CAR be used for horizontal and vertical welding positions. The tractors come with a variety of cross-support and clamping options for user-specific product customization based on the application. This is the first product rollout for Abicor Binzel in the hard automation welding space, with several additional hard automation products set to be introduced over the next couple of years, including additional features and models to the ABI-CAR lineup. American Torch Tip Company has introduced a new line of consumables. 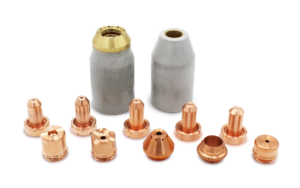 SureLok-style consumables are suitable for use with 1Torch by Thermal Dynamics and other plasma torches.